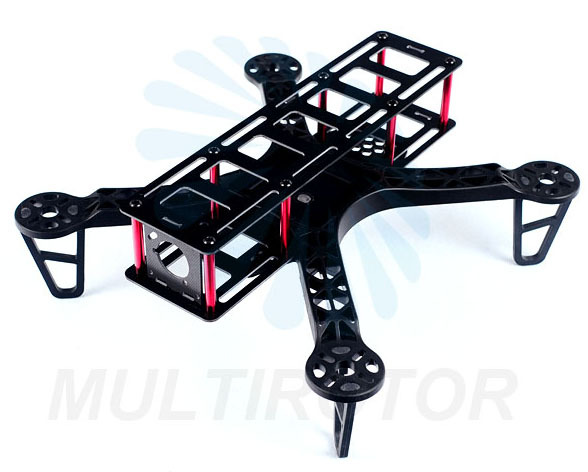 This QAV 250 is built from ultra durable and high quality materials. The one-piece main frame is ultra durable polyamide nylon while the special dismountable frame is constructed from high quality glass fiber. This mini-sized quadcopter is innovated from FPV 250 and it also measures in at a mere 250mm. 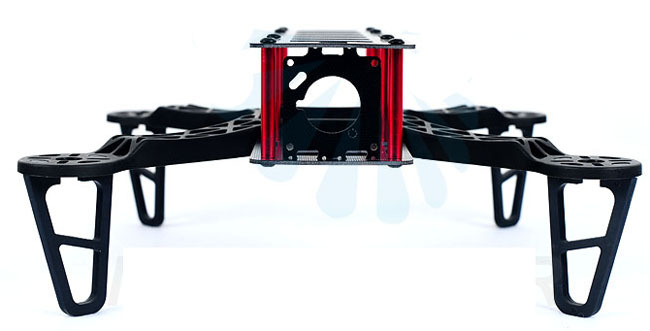 We add a symmetric glass fiber frame on and in the center bay which ensures the motors/ESCs work equally hard and the Flight Controller can apply consistent power to level the frame. 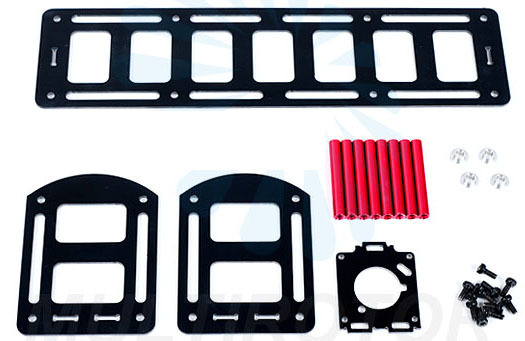 The area for flight controller and FPV equipment is large and completely covered by a Flight Controller cover. The FC cover also doubles as an optional battery tray. The Li-Po can be moved across a large area of the frame to optimize the CG. 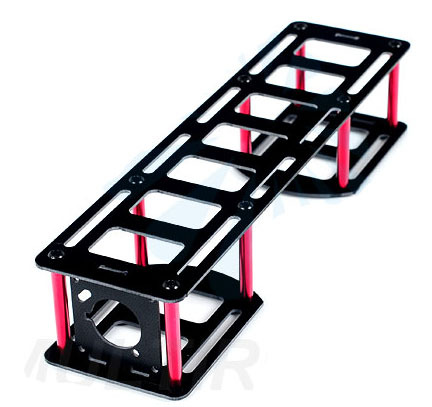 This enables flying with different equipment and number of cameras. Built from ultra durable polyamide nylon and high quality glass fiber. One-piece nylon construction for durability. The special dismountable glass fiber frame. Wide range of motor and power potions.